We contact your attorney for crucial documentation. We review documents and immediately decide if you’re approved. Medical Expenses: This involves more than the bill you got in the mail from the hospital. Your ambulance fees and consultations with all healthcare professionals as well as physical and cognitive therapy, medical necessities such as crutches, ice packs, and heating pads, and in-home services. 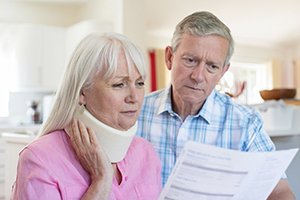 You may also recover damages for permanent disfigurement or disability. Lost Wages: Recovering lost wage will depend on your past earning capacity and includes loss of income due to physical therapy sessions or doctor’s visits, in-patient care at the hospital, limited mobility that interferes with your ability to work, and diminished earning capacity overall. Juries typically take your age, past occupation, skill set, and experience into consideration when determining the amount of lost wages you’re owed for your injuries. Every case is unique, which is why we work diligently to approve your claim as soon as possible once we receive the information from your attorney. Our experienced team is bilingual and can provide pre-settlement funding to clients involved in any personal injury. There’s no application fee for our services, just a simple online form. If you or a loved one has been injured in a car accident, call Legal Capital Corp in Chicago for your FREE QUOTE today at (312) 204-7939. We serve clients in the Chicago, Illinois area and nationwide.